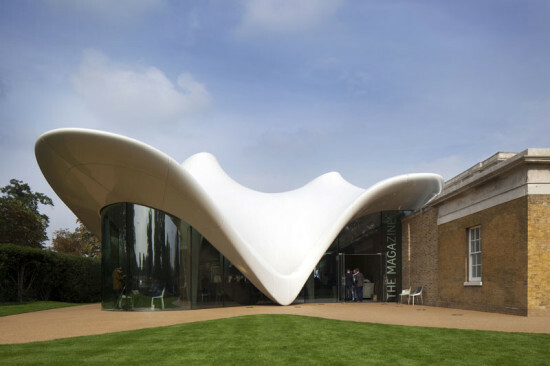 Architect Zaha Hadid is finally putting her stamp on the city she has called home for over 30 years with one of her signature curvaceous designs. 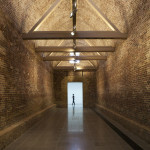 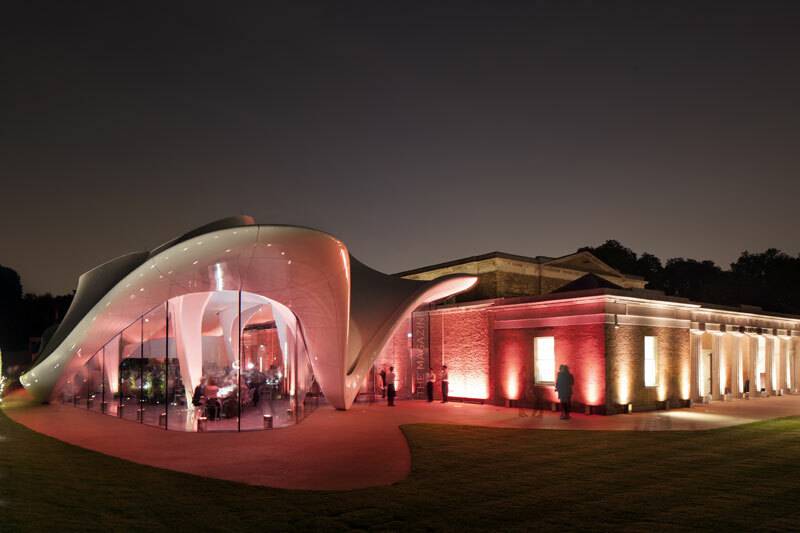 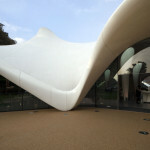 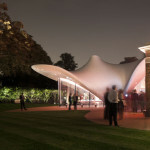 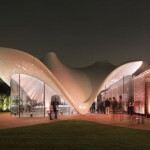 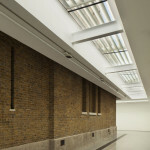 The London-based architect has designed the new Serpentine Sackler Gallery in Kensington Gardens consisting of both a $14.5 million curvilinear extension and the renovation of the The Magazine, a brick building originally built as a Gunpowder Store in the early 19th century. 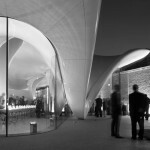 The new tensile addition rolls up and over the historic structure and houses a new 120-seat restaurant and social space. 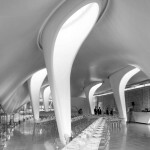 The building is composed of tailored glass-fiber fabric, steel columns, and glass. This project is not only Hadid’s first permanent building in London, but it is also her first permanent completed tensile structure to date. 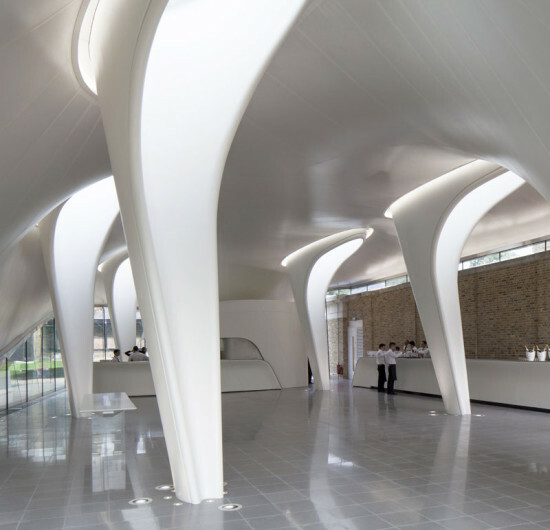 “The extension has been designed to complement the calm and solid classical building with a light, transparent, dynamic, and distinctly contemporary space of the 21st century,” said Hadid in a statement. 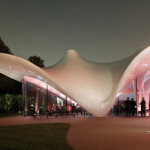 The Guardian reported that the firm designed the Serpentine’s firm temporary installation in 2000, and then were commissioned to do another one, dubbed Lilas, in 2007 for “The Summer Party” fundraiser. 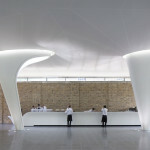 “But what we have here now is absolutely Zaha’s concept from day one. 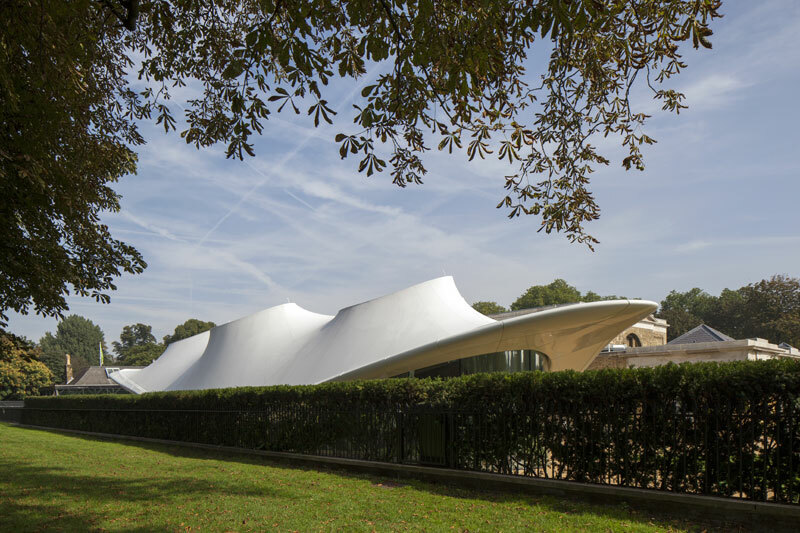 And it isn’t just about galleries, it was about creating social space, and supporting the parkland setting,” said Julia Peyton-Jones, director of the Serpentine, in a story featured in The Independent.